Hand drawn techniques in inks and Oriental brushes feature widely in Jacqueline's work with touches of integrated collage. Recently she has been experimenting with the iPad Pro for commissions and live drawing events. Jacqueline Bissett has over 30 years of experience in the fashion illustration industry. Specialising in live drawing events, commissions for both private and corporate clients, Jacqueline has worked with some of the most well known brands both nationally and internationally. 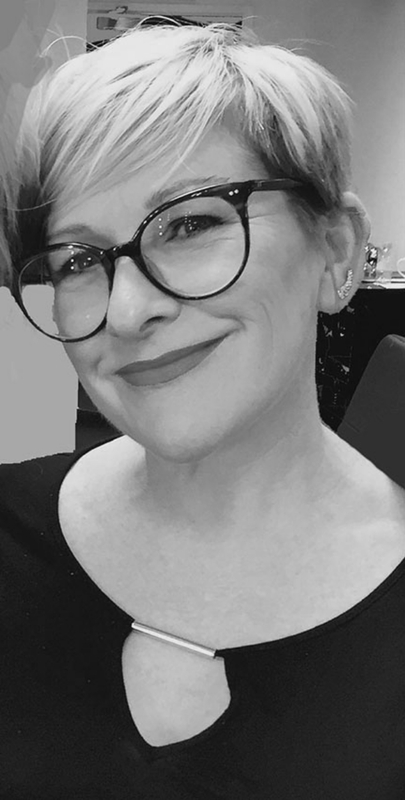 Ever since leaving Art College in the mid Eighties, Jacqueline has worked for most UK fashion magazines and an impressive amount in Italy, France, Australia, USA, Greece and Japan. Since joining leading international illustration agency, illustration ltd, Jacqueline’s work has gone global with commissions from Germany, France, North and South America, Japan, Italy, India and China. Working across a broad spectrum in the fashion world you can find her illustrations on everything from book covers to duvet covers, on web sites, billboard advertisements, jewellery brochures, point of sale (POS) and signage in stores. Jacqueline’s work has been commissioned for use on scarves, clutch bags, bedlinen, bathroom accessories and kitchenware. In the last 8 years, 'live drawing' has really taken off for Jacqueline. Her first event was on the Beauty floor at Selfridges, London, where she worked in their stores nationwide for Kurt Geiger and more recently for Louis Vuitton. She worked the days leading up to Christmas on the ground floor where she drew clients, awaiting their personalized gifts. Jacqueline has become known as an expert in the field of hand rendered fashion illustrations. Using traditional methods to interpret the most cutting edge fashion- her clients vary from top couture houses such as Givenchy, Escada, LVMH, through to top jewellery brands Cartier, Van Cleef & Arpels. Her illustration work has established a strong brand identity for Thomas Sabo. Working closely for a number of years on their brochures, window displays, packaging and advertising. A relatively new area to Jacqueline’s vast portfolio is LIVE drawing at prestigious events such as Weddings, Birthday Parties, The Baftas, Fashion & Corporate (events) and most recently to LA at a pre-Emmy's party. She has worked at some top London hotels recently- The Ritz, The Savoy, Claridges and top stores such as Selfridges & Harrods. With an impressive client list including Louis Vuitton, Giorgio Armani, Cartier, Lexus- Jacqueline wows her guests with her distinctive flourish of her pencils and brushes. Some of her private commissions have been for Lords and Ladies for commemorative birthdays, drawing guests whilst they dine . Jacqueline has drawn at special birthday parties with famous celebrities in Somerset House and Mayfair nightclubs where she works for many elite Events companies. Recently the live drawing has taken Jacqueline to the Middle East, working in Bahrain and Kuwait for Van Cleef & Arpels. For their new store openings, Jacqueline drew @ 30 fashion portraits of guests who sat for less than 10 minutes to receive their very personal gift. Cartier invited Jacqueline to Le Bristol Hotel in Paris recently where their very select guests were viewing the new jewellery collection. There she sat and sketched celebrity guests from all over the world. Recently in a collaboration with Emporio Armani, Jacqueline visited Glasgow and Manchester where MarieClaire fashion events were held. Jacqueline drew digital portraits on her iPad Pro, which was linked to a 2 metre high screen and printer. The prints were gifted to the customer at the end of the evening.